Explore the ruins of Pompeii and enjoy spectacular views from Mount Vesuvius on this one day group tour with departure from Naples or Sorrento. With a two hour guided tour with a local guide at Pompeii, you'll discover the fascinating history and habitats of the city buried after the eruption of nearby Vesuvius in 79 AD. Then we'll head to the source of the destruction for a tour with an alpine guide around the crater of Mt Vesuvius. With departures from Naples or Sorrento, this group tour is the best option for travellers already staying on the Amalfi Coast. Explore the tragic ruins of Pompeii, the city where time was frozen by the eruption of Mount Vesuvius, with our Pompeii Tour from Rome. This day tour takes you in coach comfort from Rome to Naples, where you will meet your officially licenced guide. We enjoy a panoramic tour of Naples, stopping for a photo opportunity over the stunning Bay of Naples. Lunch is a traditional Neapolitan Italian pizza, after which we move on to the highlight of the day – a guided tour of the ruins of Pompeii. Your local guide will bring the sprawling ruins to life with stories and history of the ancient city. The preserved ruins offer visitors a unique window into the life of the Ancient Romans. This Pompeii Tour from Rome is a must for any visitor to Italy. Discover the fascinating excavations of Pompeii, the city that was frozen in time by the eruption of Mount Vesuvius in 79AD, on our Guided Pompeii Tour. Our local licenced guide will bring to life the ancient ruins as you uncover how the ancient Romans lived through this unrivaled window into the past. Meet the guide directly at Pompeii and enjoy their vast knowledge as you explore the former port city. Customised itineraries are available for travellers with special interests, or book our engaging itinerary departing from the Marina Gate. The best way to explore the intriguing ruins of Pompeii is with your own private guide. Our private Pompeii tours include hotel pickup in comfortable modern transport, travelling direct to Naples and Pompeii. Your local licenced guide will offer you fascinating insight into the beautifully preserved ruins, recreating the scene of daily life of Ancient Romans before the volcanic eruption. Walk the streets of the city, past the houses, shops and bath-houses that were left buried for centuries by volcanic ash. Our private Pompeii tours offer the opportunity to customise the tour to suit your own interests and needs, ensuring you get the most out of your journey to this enthralling destination. Discover the fascinating history of Pompeii and explore the stunning surrounding coast with our 2 Day Pompeii, Sorrento & Capri Tour. We start in Rome and journey down the Highway of the Sun to Naples, where we admire the city with a panoramic tour. We enjoy a traditional Italian pizzeria lunch before moving on to tour Pompeii’s impressive ruins where your knowledgeable local guide will offer plenty of information on the history of the ruins. We spend the evening in the picturesque coastal town of Sorrento, ready for our journey to the island of Capri on day two. Get your camera ready for your boat trip to the Blue Grotto and enjoy some free time on the island before returning to Rome in the evening. With its Ancient Roman ruins that dot the city, charming cobblestone streets, remarkable collections of art and vibrant squares, Rome is a must visit destination for any traveller. Our Rome Tours will take you to explore iconic sites including the Colosseum, Vatican and Villa Borghese, with officially licenced local guides helping you make the most of your visit. Our private Rome tours offer a more personalised and intimate experience, catering to your specific interests and needs. Airport transfers are available to Rome hotels, and private tours can be arranged from Civitavecchia for cruise ships. 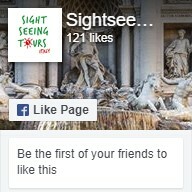 All Rome tours include Skip the Line tickets and are the best way to make the most of your time in the Eternal City. Explore the treasure trove of Western art that is the Vatican Museums with one of our Vatican Tours. Here you can wander amongst the 20 000 art works amassed by Popes over the centuries and including Renaissance masterpieces, ancient Roman sculptures and modern pieces. Not to be missed are the Raphael Rooms and Michelangelo’s masterpiece, the frescoes of the Sistine Chapel. Our officially licenced guides offer you insight into the history and stories behind the immense collection of works and the museum buildings that house them. Our Private Vatican Tours offer a more personalised and intimate experience that can cater for specific interests, or join one of our extended Vatican tours to explore the gardens or pinacoteca. Our Vatican tours are a must for anyone with an interest in the art and history of the Vatican Museums. The Amalfi Coast has everything Italy is famous for – history, food, chic pastel villages, turquoise seas, craggy mountains and vibrant beaches. Explore this picturesque corner of Italy with us on one of our tours from Rome, Sorrento or Naples. Let our local guides show you around as you soak up the spectacular scenery and lively atmosphere of the glamorous villages of Positano, Amalfi and Sorrento or cross the Tyrrhenian Sea to discover the magic of Capri. Experience the magic of the Blue Grotto, learn the fascinating history of the Black Madonna of Positano or simply relax on the sands of one of the region’s famous beaches. Your trip to the Amalfi Coast with Sightseeing Tours Italy is sure to be an unforgettable one!